The nations of the Caribbean have had a long tradition of identity formation. The Caribbean was ushered into modernity by colonialism which Aime Cesaire equates to “thingification”. The Caribbean today can be seen as the product of a long history of resisting systemic “thingification” and striving towards becoming an exceptional civilization of humans. A further rebellion against colonialism as a whole is the refusal of the region to be the homogeneous product of the colonizers. produce material that is exceptionally human on the world stage. – The late Alister Hughes of Grenada had made it his journalistic mission in life to identify the Caribbean as the one word “WestIndies”. Derek Walcott was another WestIndian man of letters. He wrote “In a Green Night: Poems 1948-1960 (1962)”, a book which celebrates the Caribbean and its history as well as investigates the scars of colonialism and post-colonialism. Throughout a long and distinguished career, Walcott returned to those same themes of language, power, and place. – Grenadian T Albert Marryshow, influenced by Donovan, conceived a West Indian Federation and is known as the Father of Federation. Sourcing a rich tradition of scholarship and a common inheritance, what does it mean to be WestIndian? Artists world-wide are invited to broadly interpret this theme in all media: painting, drawing, photography, video, new media, performance, sculpture, installation and mixed medias. The exhibition will be staged in Grenada in early November of 2017 (date and venue to be announced). Short description of proposed art. Pictures or sketches are helpful. The acceptance of proposals will be on a rolling basis, with a cut off date of September 30th. Poetry, spoken word,and essays, will also be accepted as part of the exhibition, and will be included in the Catalogue. From previous Grenada Contemporary Exhibitions, artists have been curated to exhibit in Venice, Brasil, Colombia, Switzerland, Argentina and other exhibitions. 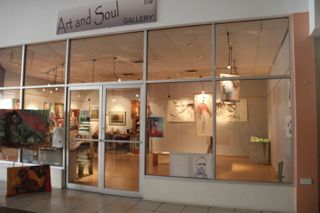 Looking forward to this 4th consecutive contemporary exhibition in Grenada and to the exciting possibilities it brings.